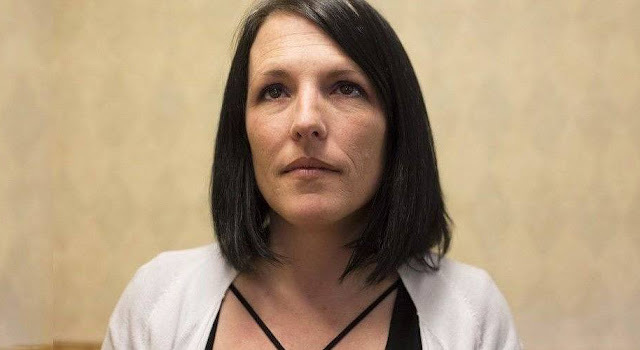 Nichole Rolfe (formerly Bruff) was expelled from the nursing program at Baker College in 2013 for “harassment of staff.” Rolfe readily admits that she had respectfully questioned two of her teachers during classroom discussions when each of them instructed the students to use diversion, misinformation, threats, and blatant lies to coerce their patients (not theoretical patients- current hospital patients) to comply with vaccination demands. Within two weeks of these incidences, Rolfe was expelled from the program with no warning, no recourse, and no right to appeal. On April 5, 2015, Rolfe and her lawyer filed charges against the college. The first instructor named in the complaint, Connie Smith, Assistant Director of Nursing, instructed the students to tell expectant mothers and their partners that they were not allowed access to the labor and delivery floor until they received a Tdap vaccine. The reason given for this demand was the safety and protection the vaccine would give to the newborns. The instructor was clear in her directives that the nursing students were to misrepresent facts and disregard patients’ concerns, including fears of vaccine injuries. Rolfe questioned the deception- the reality that vaccinations would not provide protection for 4-6 weeks, therefore they would not in any way protect the hospital newborns from disease. She asked why she would be required to participate in behavior contrary to ethical and legal standards regarding informed consent. The instructor ended the discussion, stating they would pick it up at a later time. Two days after this incident, the second instructor named in the complaint, Alysia Osoff, gave instructions for the students to use any means necessary to bring pediatric patients up-to-date on their vaccines before their discharge from the hospital. She told the students to lie to the parents receiving Medicaid and to threaten them by telling them that non-compliance could result in Medicaid refusing to pay their hospital bill, making them liable for the charges. Again, Rolfe questioned the instruction. First she questioned why sick children would be targeted for vaccination when the drug inserts (instructions) clearly warn against vaccinating sick children. Then Rolfe questioned the ethics and legality of lying to parents and threatening them to gain vaccination compliance. The directions given by these two instructors were in complete contradiction to the training these nursing students had received including written information in their textbooks. More importantly, the instructions violated the law, ethics, and morality. This lack of integrity mirrors the doctrine of the pro-vaccine camp with its endemic lies, manipulations, and threats. It is unfortunate to see what has become of the modern medical establishment. Oftentimes, advancements in medicine and health are not determined by actual objective science. According to research, they are not even determined through any intent to heal those who are sick. Rather, many of the decisions behind medicine—both within education and implementation—are made by Big Pharma and corporate manufacturers. According to reports, the center of the problem has been a corrupt and compromised federal government that places more interest in profit margins and bribery than it does in actual health. This problem has continued for decades and yet, there has still been little to no opposition to bad policies in medicine. After all, practically speaking, there can be no success in drug manufacturing when no one is sick. Consequently, "measures" are reportedly taken to ensure a "faithful customer base" for drug companies. Thanks to the long-running greed and corporate compromise of Big Pharma, much of the controversy and skepticism surrounding the safety of vaccines have proved to be well-founded. In fact, many companies reportedly add hazardous substances to their vaccines seemingly without cause. Many of these substances have remained untested and in some cases, are reported to cause severe problems in patients—mainly children. The reason that such controversy exists surrounding vaccines is that corporate media and many state and federal agencies have ignored the actual science surrounding these drugs. It is suspected that this is due to their corporate compromise and corruption. However, the specific reasoning tends to vary. As significant as this topic has been, there are understandably several professionals who have taken it upon themselves to delve into these subjects of science and to share what they have learned with the public. We might keep in mind the fact that many of these professionals have died under extremely strange circumstances after sharing their findings. This is why the following excerpt may be of particular interest to us. Up until this point, Dr. Tim O'Shea has managed to remain largely safe with regard to the material he shares. He has had a tendency not to discredit vaccines altogether, but rather, to offer scientific evidence which reveals the hazards of particular substances found within certain vaccines. This may explain the reasoning behind his apparent ability to remain safe from the alleged deadly reprisal of the corporate vaccine machine. The following excerpt comes from the website, Immunitionltd.com, and features Dr. O'Shea's research into the difference between the effects of vaccines and those which have been scientifically proven to be dangerous. 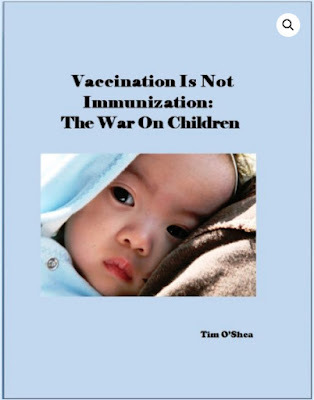 This is not an anti-vaccine textbook. It is in favor of any vaccines that have proven to be 100% safe, effective, and necessary when tested by independent, third-party research that is wholly unconnected with vaccine manufacturers. reservoirs for disease: the vaccinated or the unvaccinated? Much of this research is effectively banned from mainstream media. Yet each fact, each statistic is meticulously documented from the best sources available. There is nothing sensationalistic or conspiracy based about the actual physical science behind brain injury and vaccines. The solid mainstream references make this information bulletproof: it is virtually unassailable. The vaccine industry today is in a panic. It can no longer keep these secrets hidden. More and more people are learning about the real brain effects in their children, and they're opting out, signing exemptions. That’s what all the hysterical new laws about school vaccines are really about. Chemotherapy - How did mustard gas from a blown up WWII ship get into your veins? Vaccines, Cancer, Autism and Mysterious Deaths of Holistic Doctors: Could a Big Pharma Cover-up Be the Missing Link between These?